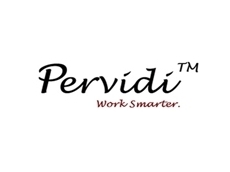 Techs4Biz offer Pervidi brand products, which combines service management, asset management, maintenance management and inspection management functionalities to improve operational efficiencies, reduce costs and shift from paper based activities such as forms and data entry to better use of resources and technical expertise. Techs4Biz develop innovative technology solutions for managing facilities, resources, services and operations. 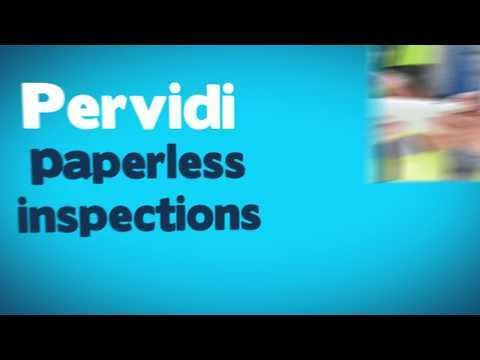 The Pervidi range of field force products from Techs4Biz can automate any field activity including health and safety audits and inspections, work orders, service activities and custom data collection tasks.The Pervidi Inspection Software combines handheld devices, wireless connectivity, software and web portals to improve safety and compliance OH&S Inspection and Compliance Management: Users can easily configure a template or form to meet specific requirements and regulations. The inspection device can be used as a point-solution and allows organisations to manage any type of inspection efficiently.Automatic Corrective Actions: Software can be configured to automatically create Corrective Actions based on deficiencies recorded by inspectors. Corrective Actions can be automatically emailed to the appropriate user for correct further action.Proactive Triggers and Notifications: The trigger engine automatically emails alerts, notifications and reports based on dynamic criteria defined by the user.Deficiency Life Cycle: Deficiencies can be tracked to ensure a complete ‘cradle-to-grave’ life cycle including alerts and management reporting.Mobility and Data Collection: Inspectors are provided with intuitive mobile applications to improve field activities. Combining hand held devices, software and web portals, inspectors can perform tasks faster, more easily and more accurately.The easy to use Inspection Software completely eliminates the use of paper, ensuring an environmentally friendly and more convenient solution Automates any type of inspectionCan track any type of asset such as cranes, safety stations and devicesIntegrated pictures and images, with the option of integrated barcodesIncludes electronic signature and timestampsTemplate creation tools allows for customised checklists and templatesScalable for use by any size organisationPervidi Inspection Software is ideal for applications within the industrial sector Work OrdersPre-Start ChecksOH&S InspectionsRisk AssessmentsFire Inspection SoftwareMobile Inspection SoftwareRails and Tracks InspectionsSmart Meters InspectionsEquipment InspectionsDefects InspectionsHVAC InspectionsSite Audits and AssessmentsSafety InspectionsTechs4Biz offers Pervidi software for a complete solution to automated inspection processes including corrective actions, reminders, alerts and escalation procedures. Techs4Biz develop innovative technology solutions for managing facilities, resources, services and operations. 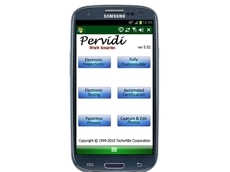 Pervidi Computerised Maintenance Management Software (CMMS) from Techs4Biz offers a complete solution combining software and web portals with handheld device capability.The Computerised Maintenance Management Software is comprehensive and easy-to-use, designed for maintaining business and manufacturing facilities Enables users to efficiently and effectively plan and execute tasks meant to maintain operationsIdeal for equipment and vehicle manufacturing and maintenanceAdds value to operations and increases return on investmentAssist in ensuring maximum uptime of equipment critical to the production of finished goodsCMMS from Pervidi fully integrates all aspects of maintenance, inspections and repair activities Handheld device capabilityProvides detailed historical information on activityAllows user to track, plan and manage maintenance, labour and inventories efficientlySignificantly improves productivity and reduces operational costsThe system features innovative technology and components that can be utilised by organisations of any size. 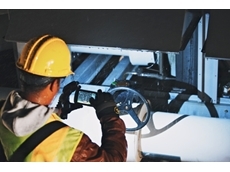 The software automates all aspects of maintenance, repair, field service and inspections. PDAs record results electronically, while the web portal allows data to be recorded and viewed using any browser. 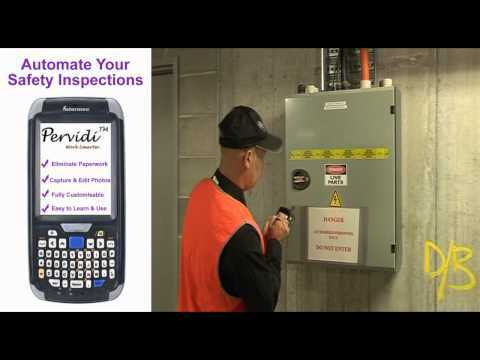 Featuring automatic alerts, reminders, emails and triggers, the Pervidi CMMS is ideal for a range of applications and industries Work ordersAsset ManagementAsset InspectionsAsset Performance ManagementAsset TrackingMaintenance PlanningMaintenance ManagementFacilities MaintenancePreventative MaintenanceRoutine MaintenanceFor a complete maintenance and manufacturing solution, Techs4Biz develop and implement practical and innovative technology to address a multitude of specific business applications. Fall protection equipment inspections are imperative to ensure safety and proper maintenance. All equipment must follow the manufacturer’s inspection recommendations. 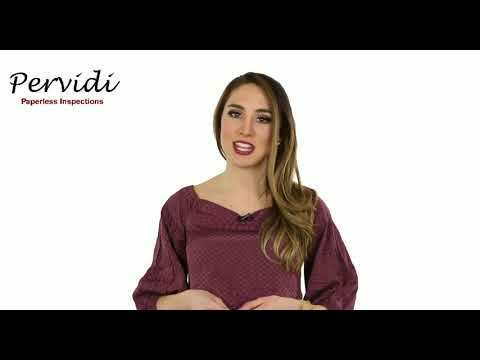 Safeguard your fall protection equipment by choosing Pervidi. 28/02/19 - The turning of the century has served as a pivotal point in the availability of technology. New innovations have enabled people to truly make the most of their time; with multitasking a social norm and 24/7 connectivity. With this technologically-aided outlook, new generations have also displayed a gradual shift from manual to digitally-based working methods. These alternatives are bluntly and empirically, better than their predecessors. Hence, it is surprising that many organisations still use dated ways of working.A very important feature of this technological shift for business is the change from paper to paperless forms. These are replacing the pen and paper, giving employees a highly powerful but easy-to-use device. Digital checklist apps are being used to assist users of their daily field activity needs and heighten their productivity. But what exactly are they?What are the Checklist Apps?Digital checklist apps are applications which are solely based on providing the user, such an inspector, technician, and field worker, with a simple digital interface. This in turn enables them to record and collect data in the field, using a mobile device and digital checklist. This feature enables them to make daily lists and goals and complete them within the assigned timeframe. The paperless checklist is also able to display analytical data in the form of charts and other graphical displays.General Features Included:Paperless checklist apps have a plethora of features which are common across all platforms and mobile devices. The speech-to-text feature enables you to save time on the go, capturing data input or additional notes. Applications also commonly allow for GPS and timestamps to be integrated with checklists, even so when you are offline without internet connection; especially helpful for businesses who designate locations to the task and are dependent moving around. There is also often the availability to include reference material like manuals, inductions, industry regulations, drawings and images onto checklist or sub-checklist parts, sometimes with the further function of annotating them. Benefits of Checklist Apps:Paperless checklist apps also have a wide range of measurable benefits. Corporations and businesses are able to be more up-to-date and efficient with their task execution; primarily because there is a greater access to an abundance of information. Digitalisation is also likely to save on costs due to fewer faults going unnoticed and more issues being discovered earlier in the problem stage cycle. Since all information can be accessed immediately without any use of paper forms and manual data entry, and all processes get a full cradle-to-grave life-cycle tracking, problems can be dealt with before they become irreversible.Going Paperless:Another direct and obvious benefit of paperless is the reduction in material use. Less paper, stationary and filing space is needed which saves physical space and reduces the company carbon footprint. 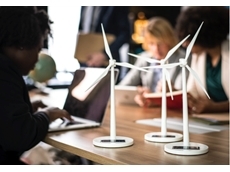 With many customers and other businesses viewing environmental attitudes as a key factor in choosing where to buy from or do business, it’s important for every business to take an eco-friendly stand. 23/01/19 - Today’s mining world is no different to any previous era; the most efficient and effective mining companies always do best. The difference between contemporary business and those pre-2000 is the wealth of technology that mining companies have access to.Mobile devices, both smartphone and tablets are revolutionising our lives as well as the workplace, making business more integrated and decision-making a straightforward process. 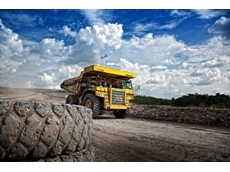 Mining companies and other related industries are also starting to reap benefits of using mobility within their actual day to day operations.With features such as a camera, GPS timestamping, RFID readers and a touchscreen, mobile devices can present a valuable tool for employees and other stakeholders. Mining sites can take advantage of the intuit knowledge of the modern workforce with mobile devices and digital technologies, replacing pen and paper much like the first PCs retired the typewriter 30 years ago.The modern workplace is digital, in the cloud, on servers and accessible 24/7. Many industries are seeing the rewards of switching to a digitally empowered workforce in their efficiency. According to industry studies, many routine inspections, such as OH&S/OHSE, maintenance, operator rounds, shut downs or ISO compliance, can experience time savings of 30%-35%; just by paper elimination.Apps and software solutions are easily updateable, considerably more so than printed check sheets and manuals, and can be distributed with tremendous ease. Employees can take advantage of built in suggestive corrective actions, or a wider decision-based logic machine.Work from different employees can be easily collated and fed back to the control room or back office as well as to systems like Computerised Maintenance Management Systems (CMMS), OH&S, and Enterprise Resource Planning (ERP) for easy oversight by the right people. When results and information has been collected, diverse reports can show how the data matches company KPIs, and how well the mine site complies with regulations or standards. Such reports metrics can be then redistributed to the relevant stakeholders to show what needs to be improved or sought to or sent 3rd parties.When considering taking your mine site digital it’s important to remember the plethora of benefits if done correctly. Higher efficiency in both the workplace and more effective employees lead to better results, but only if there is a solid structured system in place to facilitate it.So what’s the best way to making sure you lead your business down the digital road safely? Find a digitally savvy, experienced company that has staff to guide you through the paperless process and the digital transformation. 29/11/18 - 2018 has marked a significant year for the environment. Industries and organisations, nations and firms; all are facing higher pressure to be more environmentally conscious in their activities. Before long, many materials will be phased out, industries reshaped and operations redesigned. The good news is that it’s becoming easier than ever to comply with environmental regulations and further reduce our ecological footprint. Paperless tools and digital inspection services are giving many a powerful way to take their business forward to an environmentally friendly future.Industry compliance such as ISO 14001 are important regulations for a business. Not only does it demonstrate compliance and potential competitive advantage, industry regulations are a way of keeping your business current. Several types of compliance are now becoming simple tasks thanks to mobile devices. Regular smartphones and tablets are being used by inspection officials, field personnel and service teams to manage assets, locations, compliance and business methods. When a piece of equipment is due for an inspection, an environmental inspector only needs to bring a tool that fits easily in a pocket. 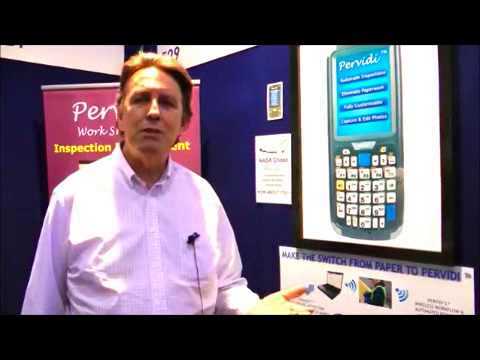 Besides clearly saving huge amounts of paper (and trees), inspection tools via a mobile device app bring a plethora of different features and benefits. All reference material in terms of manuals, instructions or industry regulation documents can be attached to a form or a checklist, all check sheets ordered in a structured order on the digital inspection app. Users can also take advantage of the camera to scan barcodes and/or RFID, or just for picture taking and annotation to supplement inspection data recordings. Other features commonly on premium inspection solutions are things like GPS timestamps, or standardised response checklist boxed to dramatically increase reporting speed in the field.There are also several indirect benefits that moving to digital can bring. Inspection officials that record data put it into checklists with predetermined data algorithms. If deficiencies and non-conformances are detected, both management and maintenance can be alerted in real time, and the user can be provided with an automatically suggested recommendations corrective action. All parties are informed of both the fault and the action taken, meaning there is less information search in the future. Assets and equipment can also be monitored with full cradle to grave life-cycle deficiency tracking giving management insightful ROI data and maintenance a historical record of the asset. The flow of information is also helped through the very nature of being paperless; the business inspection ecosystem can be hosted on private in-house servers or via the cloud (SaaS). What’s the best way to comply with regulations such as ISO 14001? 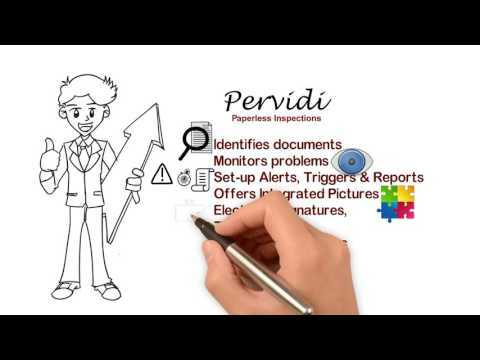 Taking your business paperless with mobile device inspection tools. In a fast-moving digital age, many organisations and businesses are in danger of being left behind. Thanks to electronic inspection tools, your business can easily effectively and efficiently comply with any environmental regulation.